This home has achieved $114,653 in rental income for 2018. 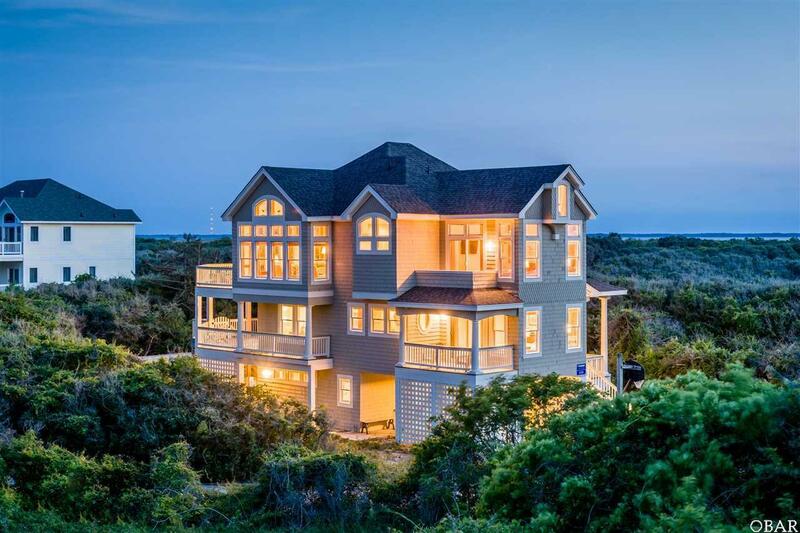 Enjoy the best of both worlds: 10 feet of private oceanfront land with semi-oceanfront protection and pricing! Unobstructed sunset views are yours with this truly unique location and parcel. The home is perfect for privacy inside, by the pool, and on the beach. Inside and out this home features distinctive upgrades and finishes. Stunning design, top shelf materials, and expert craftsmanship shine in the kitchen, bathrooms and flooring throughout the home. Built-ins in the master and the great room have timeless detail and proportions. The furnishings are stylish and practical for vacation life. The southern Corolla address offers easy access to Duck. The private beach is one of the least crowded on the Outer Banks with the nearest public access over 2 miles away. Prestigious Pine Island features architectural control, dune maintenance, community amenities and neighborhood landscaping.